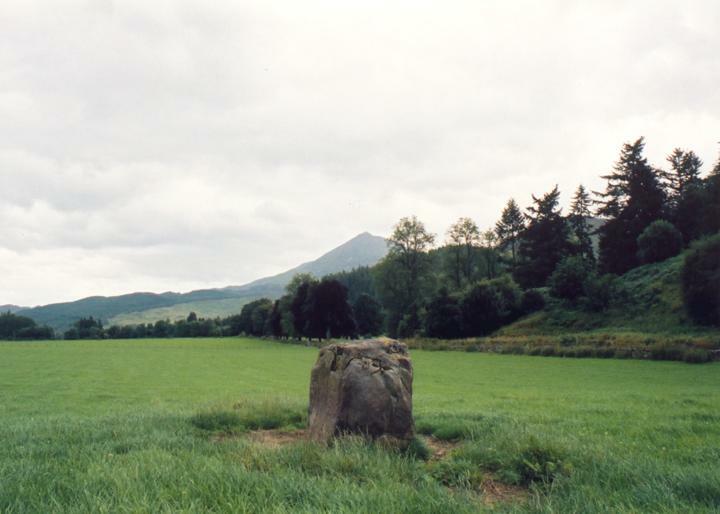 This small squat stone sits in the middle of the wide open flood plain of the River Tummel. It is 1.10m tall, and measures 1.00m by 0.70m in width. It has good views SE to Schiehallion. Where is Clach na Boile? Clach na Boile is in the parish of Fortingall and the county of Perthshire. Published on the 14th of May 2010 at 4:19 pm. Updated on the 20th of December 2012 at 12:25 pm.